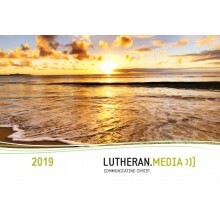 The 2019 Scripture Calendar has: - inspirational pictures and bible verses - large open date boxes for you to write in - suggested daily bible verses to read that follow the seasons of the church Order your free 2019 Scripture Calendar by clicking add to cart below. They make great gifts. Sometimes it feels like there just aren't enough hours in the day. 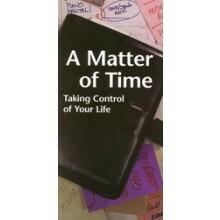 Learn how one man found a way to take control of his life with an effective and efficient time management technique. 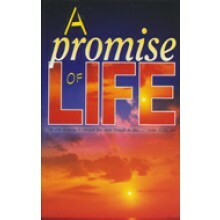 Readers praise A Promise of Life - It held the answers to all the questions I was thinking but no one could give me answers for. This has given me peace. 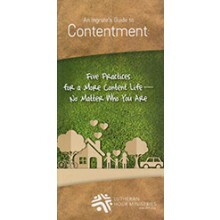 A booklet to comfort you and strengthen your relationship with God. 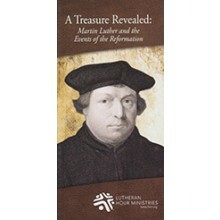 The German church reformer Martin Luther figures large over the course of Christianity's last 500 years. It was this man, born in 1483, whom God would use mightily to declare unequivocally to the world that is by grace - and grace alone - we are saved. In Luther we find the unflinching resolve, the hard-won erudition, the tireless search for spiritual truth, the vehemence against church abuses and, ultimately, the God-inspired truths that opened the door to the Protestant Reformation. 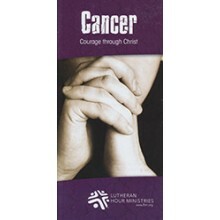 Wrestling with Scripture, Luther struggled with man's place before a righteous God who, naturally, must punish sinners. 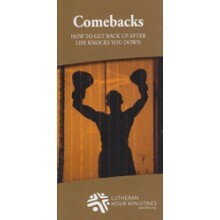 At this prospect Luther felt doomed. How could he ever measure up? It wasn't until he understood Paul's declaration that "The righteous shall live by faith" (Romans 1:17b) that hope became real. According to author Dr. Carol Geisler, "Luther understood that righteousness - holiness in the sight of God through the forgiveness of sins - is a gift from God, received through faith in Jesus. When he realised the truth about this gracious gift of God for sinners, Luther said he felt as if the gates of paradise had opened for him." 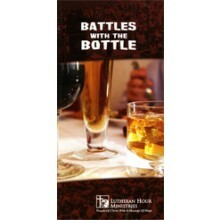 You never planned for the battles alcohol introduced into your life. But you can experience victory over them - the victory called recovery. Within these pages, you will be introduced to the source of strength and love that will lead you to the peace you crave. With divorce comes upheaval. Like puzzle pieces scattered on a floor, the divorced person is left putting his or her life back together - often with only the faintest picture to work from. Compounding the collapse of a relationship that was once "till death do us part" are fits of anger, intense frustration and, sometimes, a hopelessness that knows no bounds. No bounds, that is, until God's grace can change the hearts of those involved. Inside this booklet, Christian counselor Dan Kohn offers help from thirty years of working with people and their relationship issues. 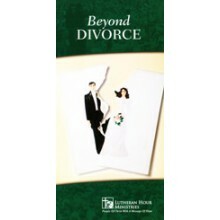 Within the complexities and grief of divorce, Kohn notes that challenges abound. These challenges, while often insurmountable for the divorced person, are entirely conquerable within the realm of healing God provides. It is with Him that grace and forgiveness are possible and where recovery can take place. Sometimes we face unexpected challenges, we are dealt a hand we just don't see coming. 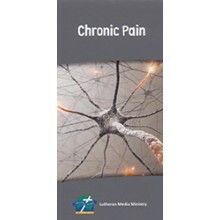 Order our booklet 'Chronic Pain' to read about the peace God's love provides through these challenges.